Manos is a well known percussionist and is the headline percussionist for Hed Kandi. Having cut his teeth on the club circuit and in the studio, he is in demand across the globe and is equally at home playing a set alongside Platinum DJs for Weddings, Corporate Events and Product Launches. Indeed, Manos was chosen to play for the Platinum DJs Director’s 40th Birthday. Very technically skilled and with such versatility in styles he can play to any music genre from cheesy disco to the latest club anthems. 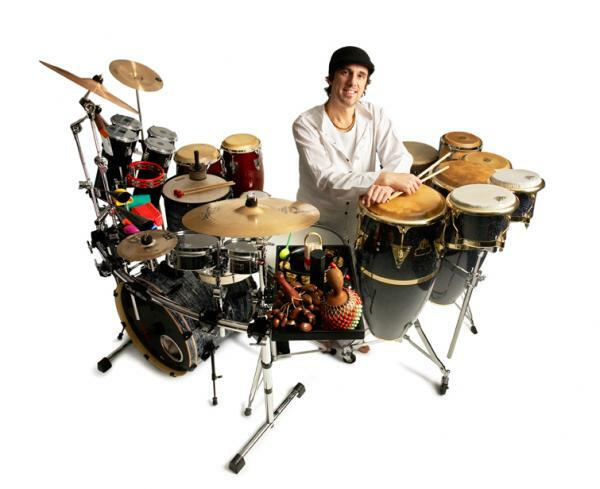 Percussionist Manos currently performs & produces percussive beats across a selection of his favourite styles Latin Jazz, Salsa, Jazzfunk, Funk, Urban and World Music & Fusion. Since 2001 Manos has been studying Afro Cuban rhythms & Latin Music such as Marcha, Son Montuno, Danzon, Bolero, Acaballo, Charanga, Bembe, Rumba (Guaguanco, Columbia & Yambu), Mozambique (Cuban & New York Style) & Conga and continues to develop with further studies into Cuban Toques (which include Bata Drums) and rhythms such as Guarapachangeo. 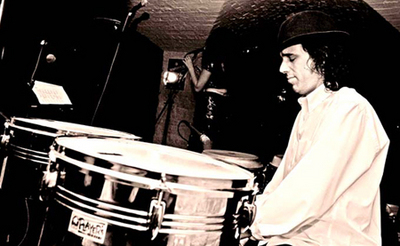 Percussion influences are Miguel ‘Anga’ Diaz, Nino Alfonzo, Candido Camero, Carlos ‘Patato’ Valdes, Ray Baretto, Mongo Santamaria, Giovanni Hildalgo, Airto Moreira, Tito Puente. More recently such greats as Master Percussionist Robin Jones, Ravin ‘RAZ’ Jayasuriya, Snowboy, David Pattman, Crispin Robinson and Pete Lockett. Barcelona, Croatia, Italy, The Netherlands, Germany, Sweden, Athens, Guiltiest, Floridita, Cafe de Paris, Mau Mau’s, Movimientos, Jazz Refreshed, Nottinghill Arts Club, Inn on the Green, Hootananny, Babalou, Lounge on the Farm, Prince Albert (Brighton), Living Room (Islington), Monkey Chews, Bar Music Hall, Under One Sky Festival and a range of many other London Venues. Manos has performed live with ‘DeLatin Sound’, ‘Butcherd Beats’, ‘Kelli Leigh’, ‘Ki’ & ‘Hepcats’. 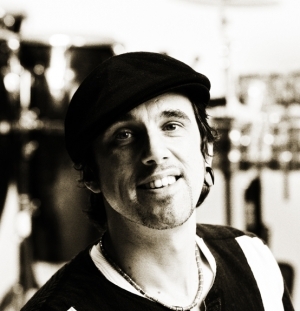 Percussionist Manos has also had the pleasure of performing live with the Vince Dunn Band, Portugirl Beat Company, Illusive, Sunharbour and Beats Estatic. Manos has performed with Kelly Marie (Shapeshifters) from the Hepcats. Warren Clarke and many more! One of Manos’ favourite bands is namely ‘BUTCHERD BEATS’ . London based Musician, Producer and DJ ‘Butcherd Beats’ has thrown his life experiences, emotions and vivid imagination into his music, with influences spanning World Music, House , Drum & Bass and Jazz he has prepared a musical journey full of eclectic funky urban beats. The Butcher has been working with other artists and musicians producing remixes for people such as Daniel & Natasha Bedingfield, Mark Morrison, Sophie Ellis Bextor, KI, and XL Records under alias ‘Tokori’ for Adele and The Magistrates. Recent Collaborations see’s him together with the No.1 DJ in Croatia DJ Joe 2 Shine, the UK’s finest soulful jazzy funky singers Kelli-Leigh and Ama, Wizdom from Green Jade and Manos (Beats de Vyne). The Vinyl Gibbon (aka David Elliott) is a Brighton based musician who creates jazz with a twist. He has been producing music for over 10 years using a mix of real piano and synthesizers blended with world instruments and percussion. Influenced by Jazz and World Music he creates a smooth down-tempo sound with a diverse experimental approach. Inspired by his many journeys around the world, he brings a subtle ambience into the music, such as the sounds of Bali and jungle noises from the Costa Rican rainforest. David Elliott (TVG) – keys, beats, bass, synths, percussion, production, inspiration & motivation, Sanna Hartfield – Vocals & lyrics, Carla Viegas – Vocals & Lyrics, Vince Dunn – Drums, Alberto Limonta Perez – Conguero, Lele Bizzoca – Guitar, Nixon Rosembert – Bass, Aaron Liddard – Saxophone & Flute & Cream Horns – Brass, Manos Felice – Cuban Bongos, Campana & Percussion. Robin Jones – Bongo & Campana, Kelli Leigh – vocals, Trevor Mires – Trombone, Paul Taylor – Trombone, Suzy Gee – Sax, Matt Telfer – Sax, Eustace Williams – Bass, Jeremy Attwood – Bass, Andy Pickett – Sax, John Styles – Sax, Andy Ferguson – Flute, Charlie Mount – Sax.